Looking for something totally new in children's clothing? 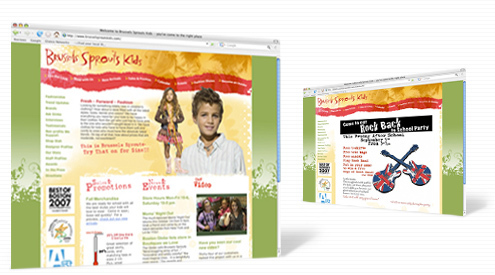 Brussels Sprouts Kids, voted Best of Boston for children's fashion, is a children's clothing boutique in Boston, MA. They needed to be able to update their website with the newest fashions and specials, as well as post photos and videos of all the fun events they hold. Savvy whipped up a fun new design for this fashion-fabulous project.